Welcome to the Decorated Bathroom Blog. 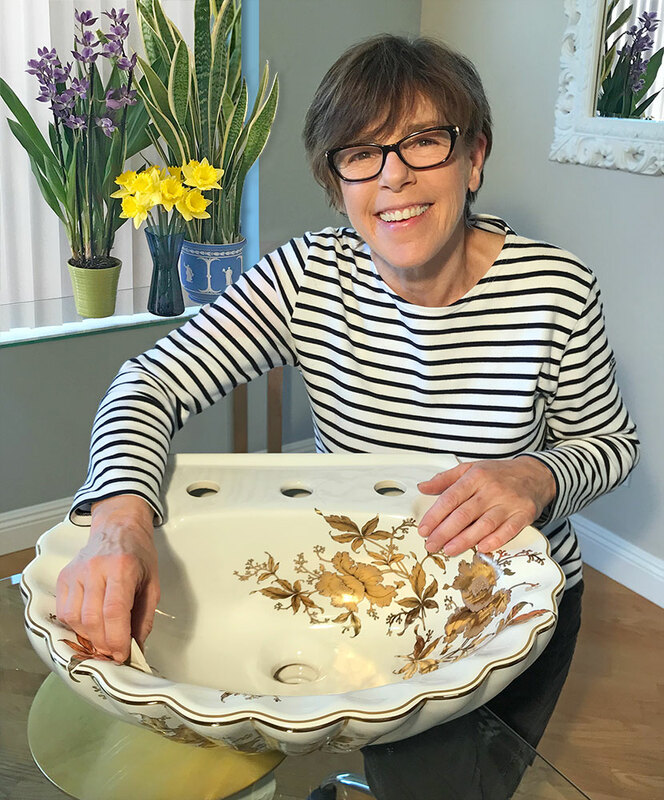 Here you will find inspiration for bathroom design, our great selection of hand painted sinks, made in the USA, installation ideas for our painted sinks and other gorgeous stuff that would go well with them. We offer a wide selection of designs from traditional to contemporary all of which can be applied to many different sinks and toilets. Please visit our website, www.decoratedbathroom.com to see our complete collection for sale. All of our fixtures are kiln-fired and made by hand in the USA by me. They are decorated with a combination of ceramic decals and some hand-painted embellishment. Our ceramic decals are extremely durable and are the same kind of decoration used on mugs, plates and china since the 1800’s. They will not wear out or fade away over time with proper care, which is not to use abrasive cleanser. Fixtures are kiln-fired to fuse the design permanently to the sink. We use only first quality vitreous china sinks and toilets, as many of them as possible are made in the USA. Browse the blog, then visit the website, decoratedbathroom.com. Thanks. You can contact me at: Lynne@decoratedbathroom.com, 702-897-8131. Lynne Sands with one of her decorated bathroom fixtures. April 2018. I like the matching vessel toilet bowl combo, however what I m looking for is the decorative tile.